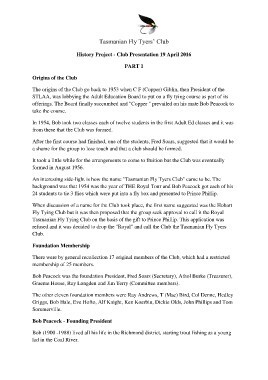 from these that the Club was formed. a shame for the group to lose touch and that a club should be formed. 24 students to tie 3 flies which were put into a fly box and presented to Prince Phillip. Graeme House, Ray Longden and Jim Terry (Committee members). lad in the Coal River.